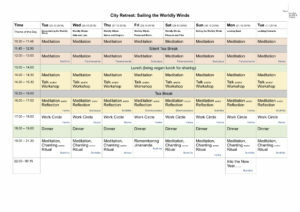 Our annual City Retreat provides a special programme of meditation, reflection and ritual over the holiday period. This non-residential retreat will run from 10.30am to 9.30pm for eight days, and on 31 January the day will be extended until 12.15am of the next day. People are welcome to join any day or any part of the day, but will need to enter the Centre at the specific points, as the reception will not be staffed and there will be no other activities going on in the Centre apart from the retreat. Times to arrive: 10-10.30am, 1-2pm, 6-7pm. On the 31 January there will be an additional point of entry at 9.30-10pm. Food arrangements: we will rely on people bringing shared vegan lunch. We will provide simple, vegan dinners for which people need to sign up either at the Centre or by e-mailing info@westlondonbuddhistcentre.com by lunchtime. Suggested donation towards dinner is £10. We are looking for volunteers to cook the dinners over the 8 day period – please do email if you can help. The full programme for the retreat is below and available for downloading here.